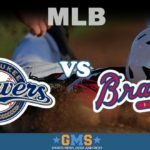 This game will the second encounter in a three game series between the Milwaukee Brewers and the Atlanta Braves, that is going to be played at the SunTrust Park. At the time of writing, the first game of the series has not been played yet, so we will look at their stats from the end of their previous series. The Brewers are coming from a four game series against the Pittsburgh Pirates, which they started by losing the first two games, with 8 – 1 and 7 – 3 results, but were able to win the third and fourth games with close 4 – 3 and 4 – 2 scoreboards. The Braves are coming from a four game series against the San Francisco Giants, which they started by getting a win in the first game, with a devastating 9 – 0 win. In the second game, they were unable to maintain the lead and lost 6 – 3 and in the third they won again, with a 5 – 3 scoreline. The fourth game went to the Braves, winning 12 – 11. These two teams could not be having more different seasons, with the Brewers being one of the more consistent teams in 2017, while the Braves have gone up and down. The Brewers have been pretty consistent the whole season, winning forty and losing thirty five of the seventy five games they have played in 2017, for a .533 winning percentage that has them in the first place of the central division of the National League, a game and a half game ahead of the Chicago Cubs and five games ahead of the St Louis Cardinals and six ahead of the Pirates. They visit the Braves at the SunTrust Field with an away winning percentage that has been good, having won nineteen and lost thirteen of the thirty two games they have played away from home so far, for a .594 winning percentage when away from their home fans. The Braves, on their part, have won thirty four and lost thirty eight of the seventy two games they have played in 2017, for a .472 winning percentage that has them in the second place of the eastern division of the National League, nine games behind the Nationals and a game and a half ahead of the Miami Marlins in the third place. Their home record has not been the best, having won eighteen of the thirty seven games they have played at the SunTrust Park, for a .486 winning percentage when playing in front of their home fans. These two teams are coming from the exact same performance in their last few games, with both teams winning their last two games, and having also won seven of their last ten games, so even if they are not sizzling hot right now, they both come with good form. Matt Garza will be the starter for the Brewers in this game, and he will be making his eleventh start of the season. In his previous games in 2017, he was able to get three wins, losing three and leaving four undecided. He has pitched 55 innings, allowing 55 hits, 31 runs and 7 home runs, for an ERA of 4.42 and with 40 strikeouts. R. A. Dickey will be the starter for the Atlanta Braves in what will be his fifteenth start of 2017. In his previous games, the forty two year old veteran pitcher was able to get five wins, five losses and left four of his starting games undecided. He has pitched 84.1innings, allowing 86 hits, 52 runs and 15 home runs, accumulating an earned run average of 4.91 and striking out only 52 players. Even though both teams come with the same form, we believe Garza will be able to win the game for the Brewers. The total is being set at 9.5, so you should go for the over.